[Update] Sadly, it seems there won't be a new Metro game next year. Publisher Deep Silver has released the following statement on Facebook. "As the exclusive rights holder to video games set in the Metro 2033 universe, Deep Silver has ambitious plans for the hugely successful Metro series. But just to manage our fans' expectations--releasing the next Metro game in 2017 is not one of them. When we have more news to share, we will." Original story: They may not be universally adored, but the Metro games have a legion of fans (including me) who love their FPS action and atmospheric, post-apocalyptic setting. 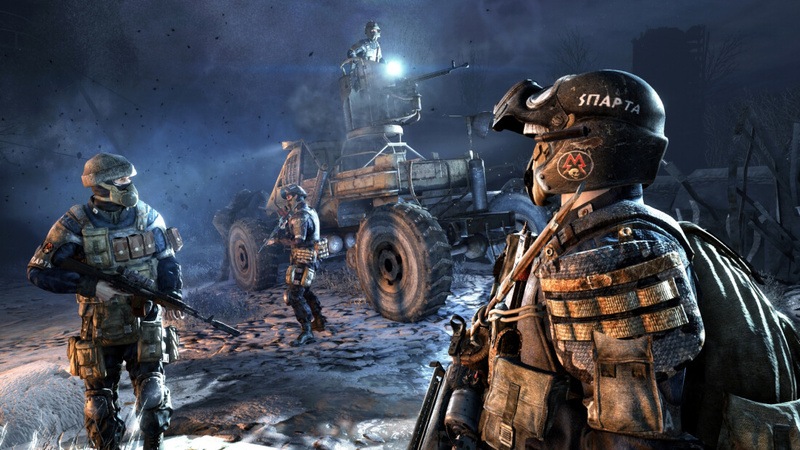 Not counting 2014’s remastered Redux package, it’s been over three years since the release of the last Metro game – Metro: Last Light – but it looks as if we’ll be getting a new entry in the series next year. The news comes from the website for Metro 2035, the final novel in Dmitry Glukhovsky’s book series. The bottom of the site’s main page displays a timeline that charts the release of each book and game, with the final entry showing: "2017 – the next Metro video game." "It all adds up to something. Where the books end their story, the game will pick it up," reads the description. "An era of great discoveries lies ahead..."
4A Games, which developed both Metro: 2033 and Metro: Last Light, recently revealed that it is currently working on an unnamed title. When announcing the Oculus Rift-exclusive Arktika.1, which is also set in a Russian post-apocalyptic world and looks a lot like Metro, creative director Andriy "Prof" Prokhorovoctober wrote that it was one of two projects currently in development. It now appears that he was referring to the third Metro installment. A brief summary of the next book gives an idea of what to expect in the upcoming game. The website’s timeline may not be 100 percent accurate, of course. Strangely, it lists the Metro 2035 book as being released in 2015, but it doesn’t actually come out until December this year – there’s even a “preorder now” box next to the entry. But, hopefully, we’ll get back to blasting Nosalises with quad-barrel shotguns next year. Check out 4A Games' other title, Arktika.1, in the video below, which looks like it could become one of the best reasons to buy an Oculus Rift.